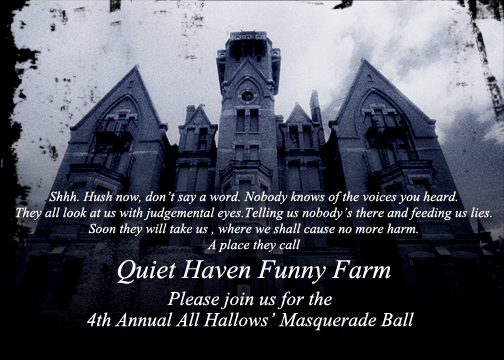 Shhh…hush now. Don’t say a word. Nobody knows of the voices you heard. They all look at us with judgemental eyes, telling us nobody’s there and feeding us lies. 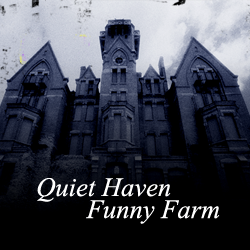 Soon they will take us where we can cause no more harm: A place they call Quiet Haven Funny Farm.